Jeffrey Hall provides a full range of services to insurance companies and employers, including Professional Employer Organizations (PEO) and Fortune 500 companies, nationwide. Focusing on labor and employment law, he handles all aspects of work injury cases, including workplace litigation, 132a and serious and willful misconduct claims. Jeffrey also litigates personal injury and subrogation matters. Before concentrating his practice in the labor and employment field, Jeffrey represented Fortune 500 companies in general business litigation, coverage issues and medical product liability cases. Jeffrey's background includes clerkships for the Honorable William Keller and Edward Rafeedie of the United States District Court for the Central District of California. 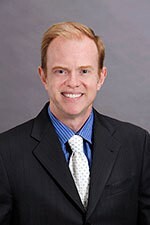 During law school, Jeffrey worked on health care fraud cases with the Criminal Division of the Office of the United States Attorney in San Francisco. He also clerked at Bet Tzedek, providing legal services for the low-income residents of Los Angeles. Jeffrey recently gave up sleeping after becoming a father. His hobbies include weightlifting and martial arts.